Roman Mask give away! Free Roman Masks up for grabs! 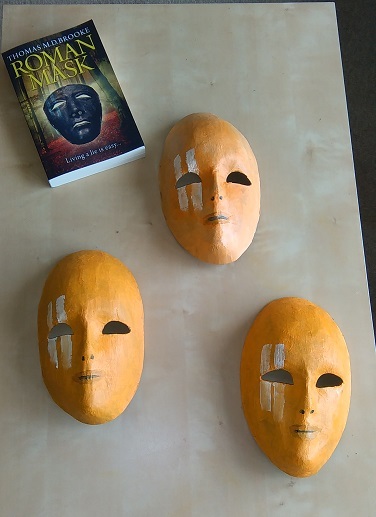 To celebrate the release of my novel ‘Roman Mask’ this week, I have decided to give away three Roman masks of my own! You can see what they look like in the picture below. 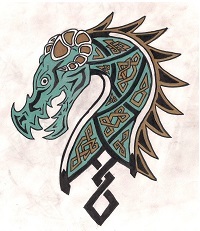 Ok, they don’t look exactly like the mask found at Kalkriese (which is the image shown on the front cover of my book) but they are close enough and are suitably dramatic, so I thought they would make a nice prize. They are all made from paper-mache and are hand painted. If you would like one, simply enter the words ‘Roman Mask’ in the comment field. Next week, I will put all the names in the hat and pull three out and ask the winners to send me their address so I can send them their mask. The offer is open to anywhere in the world providing you have a postal address I can send it to. Incidentally, if anyone is interested in seeing the original Kalkriese mask it can be viewed at the Kalkriese museum alongside other archaeological findings from the site of the battle of the Teutoburg forest which was first excavated in the 1990’s. The release of my novel went well this week, and sales have been nice and steady, and I even have my first amazon reviews for my book! You can see them here. Amazon reviews are so important to any new novel, so if you have been kind enough to buy my novel, I would also really appreciate a review for my book as well. If you buy the kindle version a pop-up will automatically appear when you finish the novel, or if you have bought the paperback you can submit a review through the Amazon site, it’s really easy, and I’d love to hear your views on my work. That’s fantastic Nige, I really hope you enjoy it. I’ll put your name in the hat for the draw too. Downloaded the book last night, looking forward to getting stuck in soon! That’s great James! I hope you enjoy it and I look forward to hearing what you think about it!